David Sorenson and Colleen O’Connor, two of eight public defenders who will receive WSBA’s Courageous Award, during the Michele Anderson case in the King County Courthouse. Eight public defenders will receive the Washington State Bar Association’s 2016 Courageous Award in September for their work on three separate death penalty cases. The award will be handed out at WSBA’s Annual Awards Dinner on Sept. 29 at the Sheraton Seattle. The Courageous Award is presented to someone “who has displayed exceptional courage in the face of adversity, thus bringing credit to the legal profession,” according to WSBA’s website. 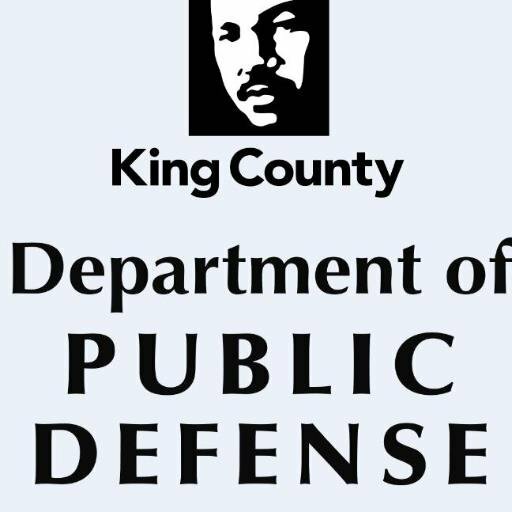 King County witnessed a landmark year in death penalty-litigation in 2015. The jury deliberated for less than an hour during the penalty phase in Christopher Monfort’s trial before coming back with a unanimous veridict of life in prison without parole. A divided jury also handed Joseph McEnroe a sentence of life in prison. Those two cases spared the life of a third defendant, Michele Anderson; the prosecutor elected not to seek the death penalty after juries declined to sentence Mr. Monfort and Mr. McEnroe to death.